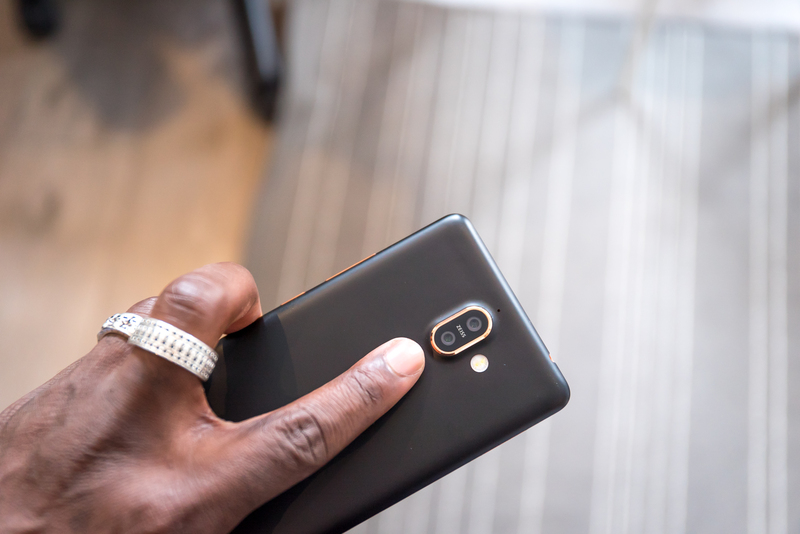 The Nokia 7 Plus is probably the phone I used for so long before writing a review, and that’s simply because it became more than just a phone that I’m reviewing – it became the daily driver. When I review phones, I tend to go in open-minded, but the previous Nokia devices I’ve used wasn’t too impressive, until now. From how its design to how well it performed, clean OS withAndroid One, excellent battery life and great pictures especially when the lighting is right, the Nokia 7 Plus really surprised me. The Nokia 7 Plus might not have an all singing and dancing spec sheet, but what it does have, it does it very well. Starting with its design, you get a 6 inch IPS panel with 1080 x 2160 resolution, it’s not as bright as an AMOLED display but when considering how much it costs, it’s absolutely fine, however, I’m not a fan of how reflective it can be in bright light or direct sunlight. This was very apparent when I was trying to film me playing Snake Real world on it via Facebook camera. With most manufacturers opting for a fancy bezeless, glass panel body, Nokia opted for a ceramic coated back and a series 6000 aluminium frame. Even with a large form factor, fingerprint scanner placement on the back is low enough to reach if you have small hands. The back can be a fingerprint magnet, but very easy to just wipe off and you also get a silicon case in the box to keep it clean and safe. I also love the copper-coloured frame it comes with, it’s a perfect colour combination and while the ceramic coating gives it a better grip, the metal frame gives it that premium look. If you spend more time looking at it, you’ll notice how much detail and attention has gone into making the 7 Plus a desirable phone in a saturated world of bezeless, notchtastic smartphones. Elsewhere, you get a 3.5 mm headphone jack which is slowly disappearing from more and more devices these days, USB C port, you can even expand its storage with up to 256GB microSD card. 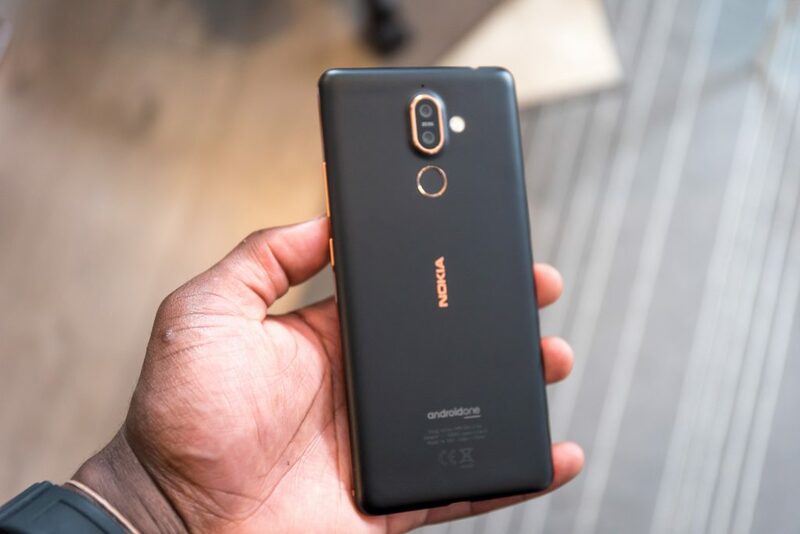 The Nokia 7 Plus is loaded with a 3,800 mAh battery and depending on your usage, I think the average user who uses social media, watches videos and play games throughout the day will get a day out of it easily. Considering it’s the same size as some other flagship devices out there, It’s incredible to see a big battery in there. The 7 Plus is very well balanced to achieve this, so you don’t have bloatware apps running in the background draining your battery and although we don’t get the latest Qualcomm chipset, the silver lining is it consumes less power. You still get fast charging, but no wireless charging which I would have loved to have. You get a Zeiss optics dual camera set up, one 12MP wide angle and a higher res 13MP telephoto; the wide angle lens has a F/1.75 aperture while the telephoto is F/2.6 aperture. Whether it’s the software at work or the Zeiss optics or both, I was quite impressed with the Nokia 7 plus camera performance; it’s sharp, detailed, good dynamic range and the only time I feel it was a let down for me was when in low-light situations. It’s hard to get a good picture out of it without having highlights overblown or red hues and over saturation. Just like a lot of Android phones out today, you can take pictures with a synthetic bokeh effect created using software and sometimes it works fine but other times it fails to detect the edges well. On the front, you have a 16MP shooter which is great for selfies, it makes me look good without airbrushing me like Samsung or OnePlus devices. It’s also wide enough to get a few people in my shots and one thing Nokia adds is bothie, allowing you to capture yourself and what’s in front of you at the same time or even stream to Facebook showing both perspectives. For video, you can capture 4K videos, but it can sometimes struggle to follow focus without hunting. Under its ceramic coated body, there’s a Qualcomm Snapdragon 660 chipset with 4GB RAM and while that’s not screaming or oozing top performance, it’s more than enough for the day-to-day tasks. With the help of a bloatware-free Android One OS, it’s snappy and doesn’t show any cracks when it comes to performance. I feel where it lacks, however, is when it comes to gaming; while it can handle most games comfortably, the more graphics intensive ones don’t fill me with confidence, but considering its price tag again, you can’t really complain here. Clean OS with no bloatware apps. Great stamina with 3,800 mAh battery. Great camera when you have good lighting. The screen could be better. It doesn’t pack the latest chipset. Gaming performance is not the best and can be noticeable when playing graphics intensive games.